That is not to say that I would not wear this look! 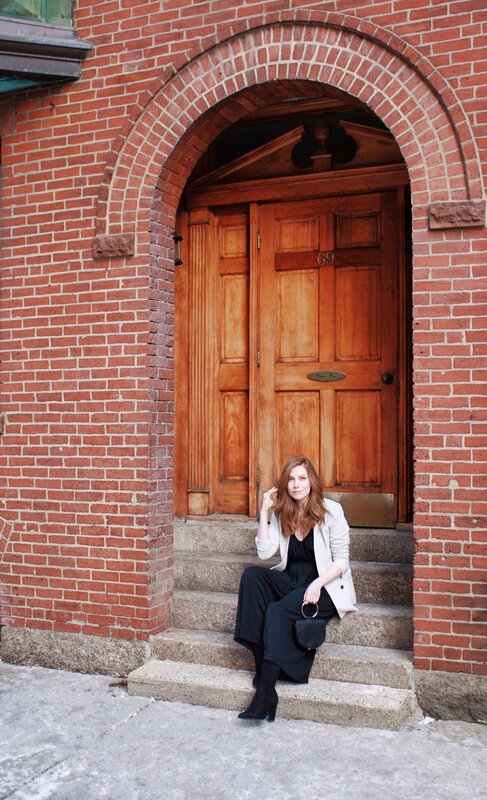 The jumpsuit and the boots I am wearing have both in my closet for a few years. Now onto the main point of this post….what do you wear for a date night? There are so many different iterations of looks you can put together. What to wear also depends largely on what you will be doing as well. For this post I wanted to show you all an outfit that you could easily throw together for a first date, which lets be serious, is probably at a bar over a few cocktails (you know…in case the person you’re meeting just is not gonna work out and you need an easy out). I think whenever you are going on a first date, it is good to keep things simple. First and foremost, you want to make sure you are comfortable! If you aren’t feeling good in what you’re wearing, you probably won’t feel your best overall, and that is not how you want to feel on a first date. I also think it is good to not wear anything too over the top. The point of a first date is to get to know the person you’re meeting. While your style is a reflection of who you are, you don’t want it to be the main point of the evening. When it comes to dates I tend to gravitate towards something like jeans and a nice sweater, an easy throw on and go dress, or something in the all black category. For this look, I followed most of my first date look rules. I went with the (mostly) black color scheme, an extremely comfortable throw on and go jumpsuit, and added a little personality with my fun mini bag! Want to copy this look for yourself? Well, you’re in luck! I’ve linked a bunch of jumpsuits for you below. 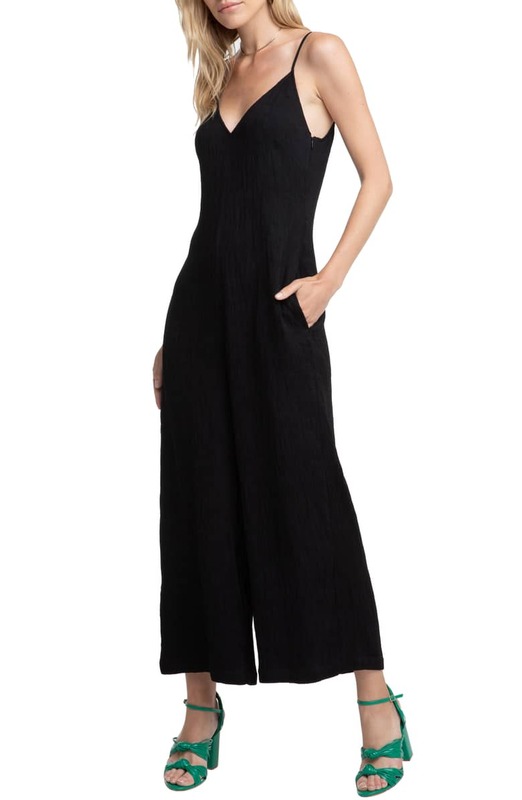 They are all wide leg, which I have found to be an easier jumpsuit option, fit-wise. For me at least, it can sometimes be hard to find a jumpsuit that fits just right in the hips. 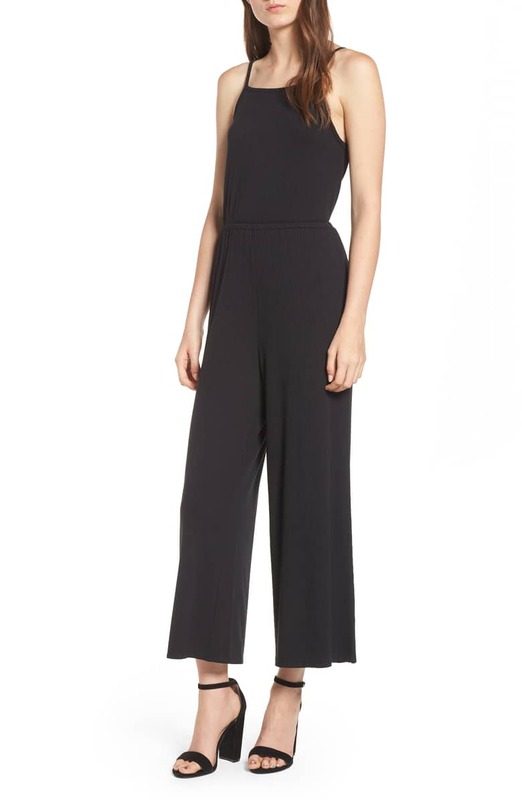 Going for a wide leg jumpsuit helps to alleviate this concern, and overall makes them so comfortable. There is also nothing more chic that a cropped, wide leg pant paired with an over the knee boot! As for the blazer, I found the exact one, but it is only available in black and navy. 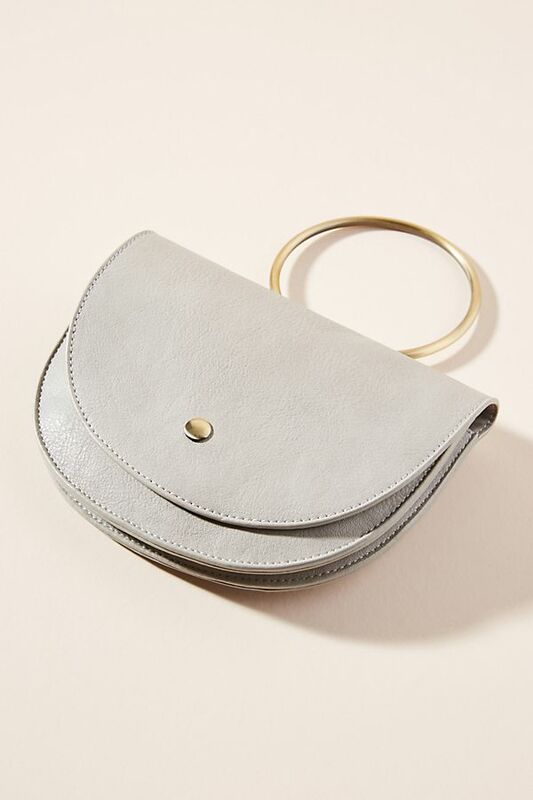 Lastly, I also rounded up a bunch of fun top handle bags! Keep scrolling to see the full look and to do some shopping! Let me know in the comments if putting together date night looks is something you want to see more of as well! Cashmere & Wool & Suede, Oh My!